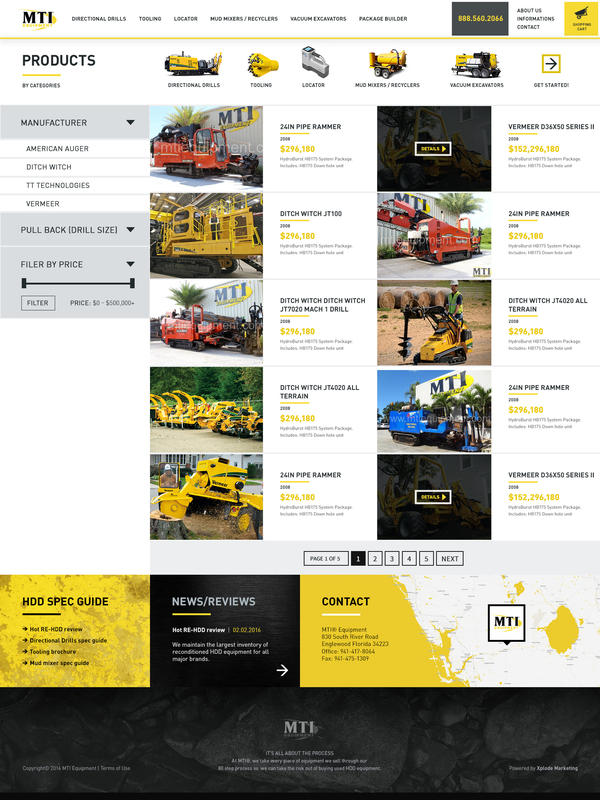 MTI Equipment is a global company that buys and sells directional drilling machines and related support equipment worldwide. They are one of the most trusted global distributors of used HDD equipment in over 40 different countries.  They wanted to do some revamping on their current website which is why they came to Xplode seeking a new and improved fully custom web design. 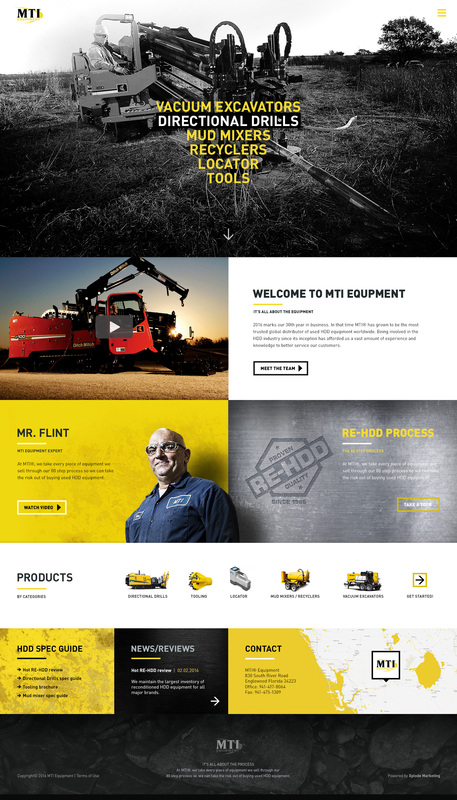 The overall goal was to develop a uniquely designed and engaging site that allowed customers to easily browse MTI’s various products based on their needs. We maintained cohesive branding across the entire site through choice of color, style, and the fonts used. 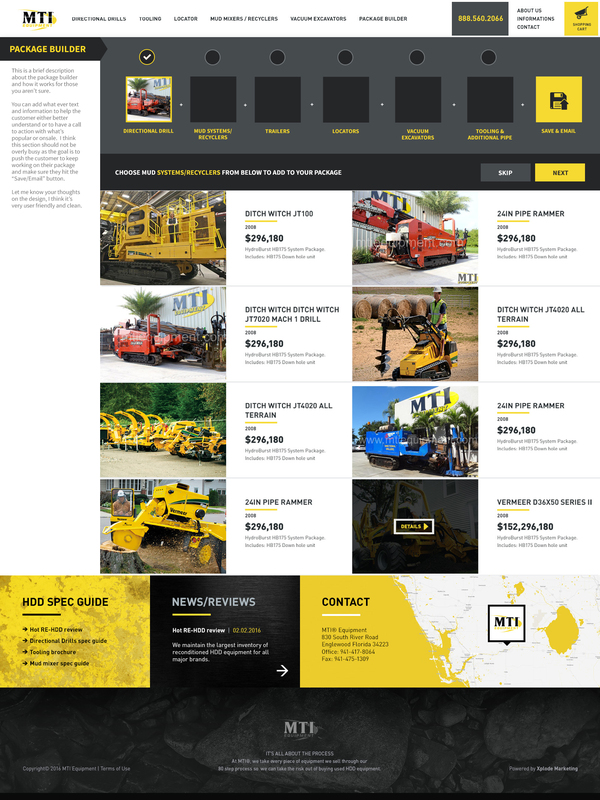 The website is easy for customers to navigate thanks to its simplistic layout. It’s very functional to use and interactive to catch the eye of customers. 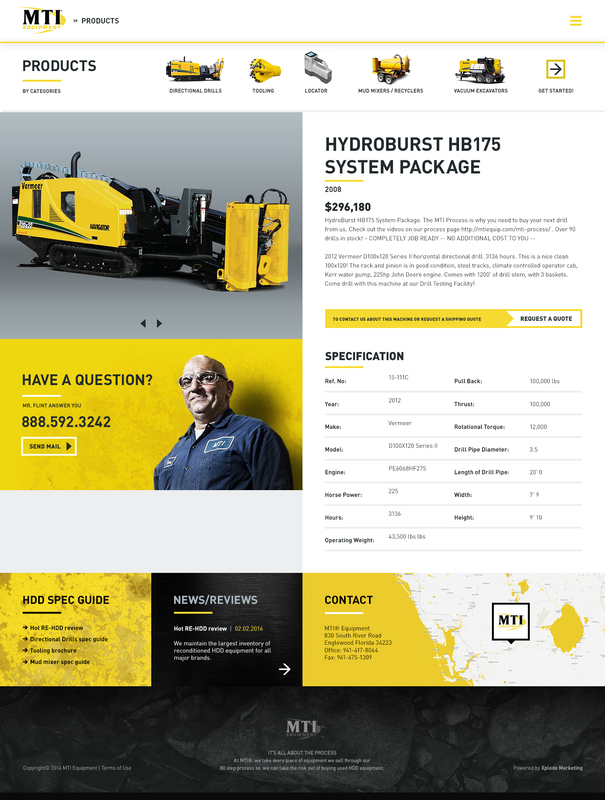 The custom design was implemented into a content management system to allow the MTI staff to include additional information or make any necessary changes to the site. Thanks to our expertise in SEO, we were able to create this website with built in onsite optimization on each page. As of 2016, MTI Equipment marks its 30 year anniversary of being in business. Every piece of MTI Equipment undergoes an 80 point detailed inspection by their team of highly-trained experts to ensure customers are receiving the highest quality products.